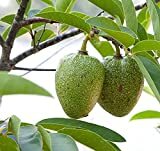 Annona growing tree of the family Annonaceae and also known as Sop, Annona evergreen perennial but in a cold weather become deciduous plant, can grow in tropics mediterranean or subtropical climate and growing in hardiness zone 10+. Flower small green-yellowish, separate times on the same tree female and male flower, the flowers are protogyny at first female and after become a male flower. Bees, hand-pollinate performed by collecting the male pollen by cotton swabs and pollinating the female flowers. Gathering flowers in a male form, (make sure that the flowers from weak area or not next to female flower). Keep flowers in a dark place, high humidity, preferably in a cool and ventilated place. If the flower pollen has been took out, the male flower not useful. What can be done with big quantities of Annona fruits?